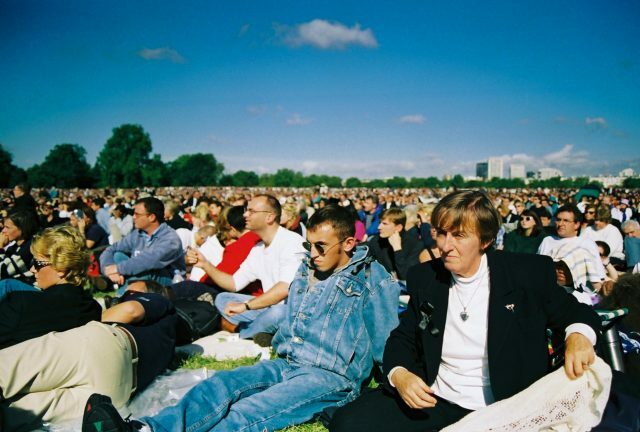 Twenty years ago today in September 1997 I went to London with my mother to Lady Diana’s Funeral (obviously we did not go the ceremony at Westminster Abbey). Instead of jostling for a position on the route of the funeral cortège we decided to head to hyde park were big screens had been erected to show the funeral service. As part of a commission to document the construction of the Brighton i360 I went to Holland to see the progress being made on the tower. 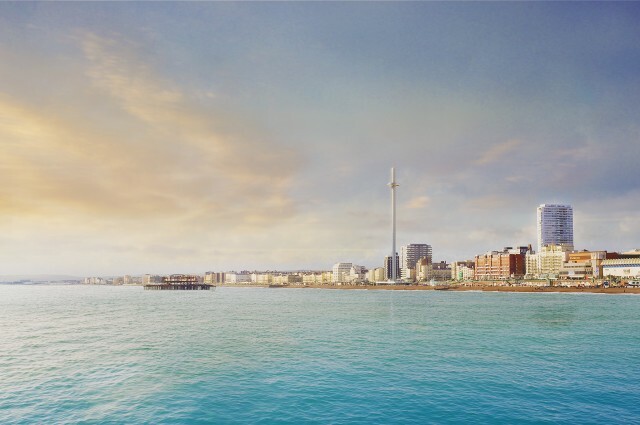 The i360 is an observation tower designed by the same architects that conceived of the London Eye. To a casual observer it may look like all that has happened in the past 8 months on the i360 site is that mud has been moved around. Actually a lot has been going on including the redirection of a victorian sewer, redirection electricity supply and in the past few weeks the start of the digging of the foundations. So far visually it’s not been massively exciting. 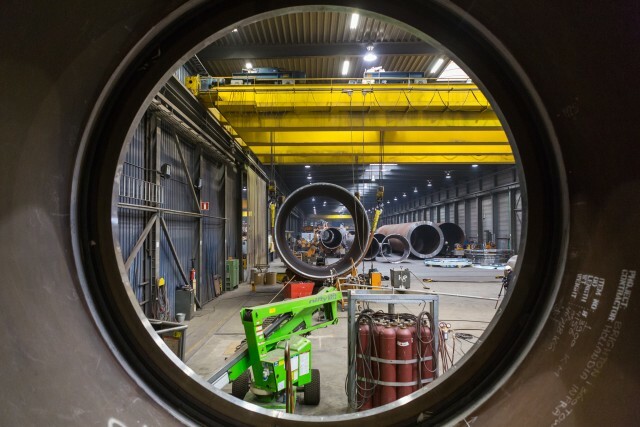 What was exciting to me was visiting a factory in Holland to document the progress being made on the actual tower. Sif has been contracted by the engineering firm Hollandia to build the tower. Sif specialises in making large rounded steel structures like wind turbine towers. I tagged along with a Hollandia engineer as he inspected the welds on the tower’s components, while there I got to see some the of processes that are going into making up the i360 tower. It’s not often as a photographer you get offered long term projects. It’s usually a day or a week so it’s with some excitement I can tell that along with Gary Eastwood I have been contracted to document all aspects of the construction of the i360. I will be shooting for two years from now till July 2016! In 2013 I was lucky enough to be asked by Tim Andrews to shoot his portrait for his “Over The Hill project”. 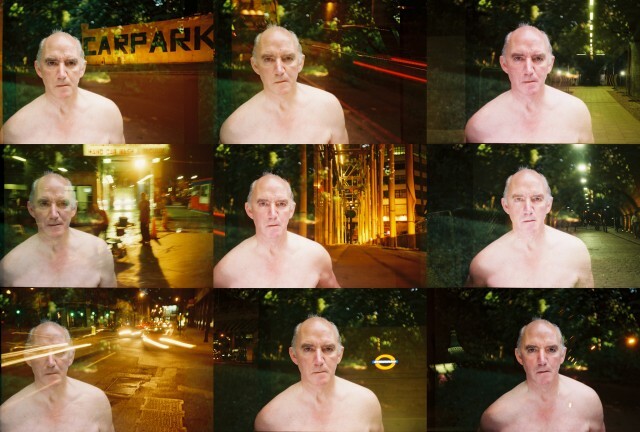 Since being diagnosed with Parkinson’s disease in 2005 at the age of 54 Tim has been on a mission to be photographed by different photographers, according to his blog the total number of photographers stands at 270. It’s an interesting role reversal where the subject of the photographs is the driving force behind the project. The montage portraits I shoot are not just reserved for my trend spotting antics. I also shoot them of friends and family but most of the time it is reserved for the Street Style section of Brighton Source Magazine. Recently I was commission to shoot a set of family portraits using the technique, it’s kind of switch as usually it’s me approaching other people on the street to get their portrait not the other way around. Mum, Dad, Daughter and Cousins all got in on the montage portrait action.